Many may not be aware that there are literally thousands of ships wrecked in our Great Lakes. Our Great Lakes are the resting places for thousands of ship wrecks. They are also considered one of the best places in the world for wreck diving. In fact, many of the wrecks are in almost perfect condition/ very well preserved due to the cold ( about 40 degrees F) fresh water of the lakes. As it turns out,the surface conditions son these lakes can become very treacherous between the months of October and November due to very strong storms. Hence, the reason for the vast number of wrecks found here. 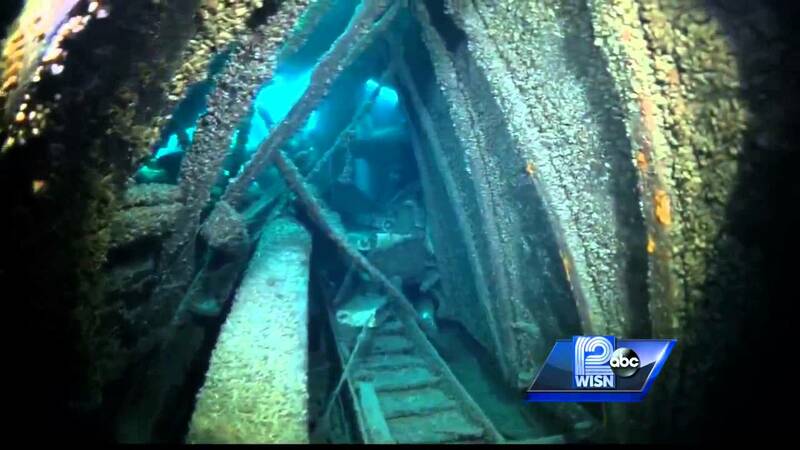 Explore the 300ft car ferry 120 ft below the shore off of Milwaukee in Lake Michigan. During the spring the waters of the lakes are perfectly clear of sediment and many of the wrecks are very visible from the air. Coast Guard Shares Pics From Crystal-Clear Lake Mich.